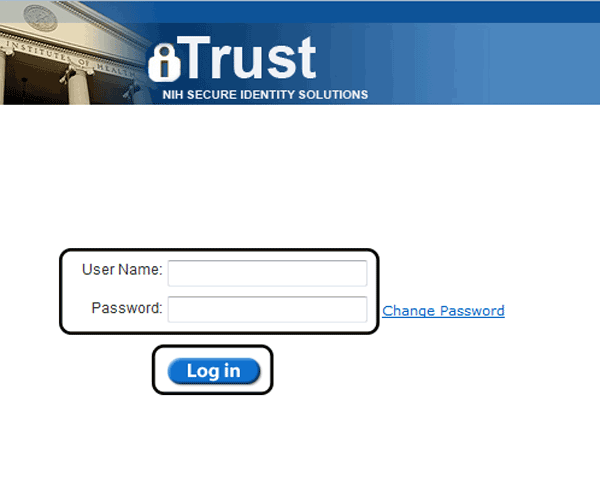 Enter a username (3 or more letters or numbers) and password (6 or more characters) of your choosing. 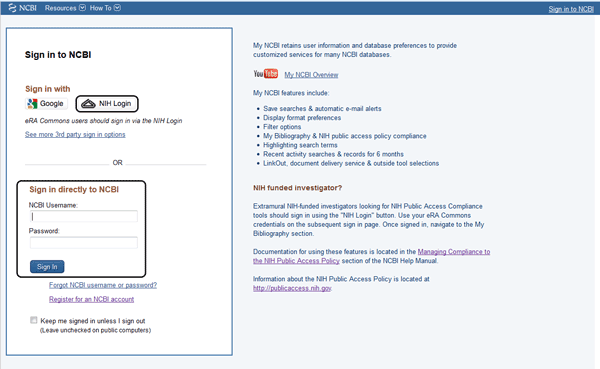 Note: Passwords are case-sensitive. 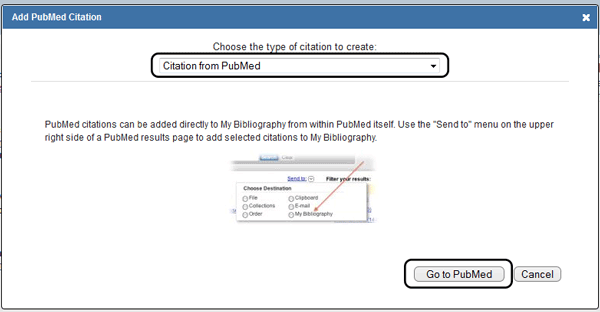 To add a citation not from PubMed you need to select the appropriate option from the drop-down list. 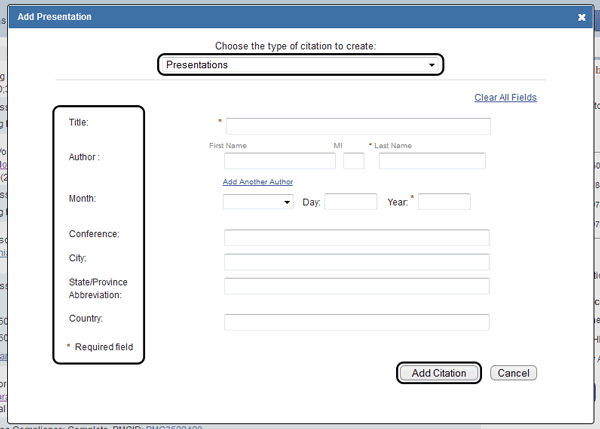 Each option from the drop-down list leads to a different screen where the appropriate information can be added. 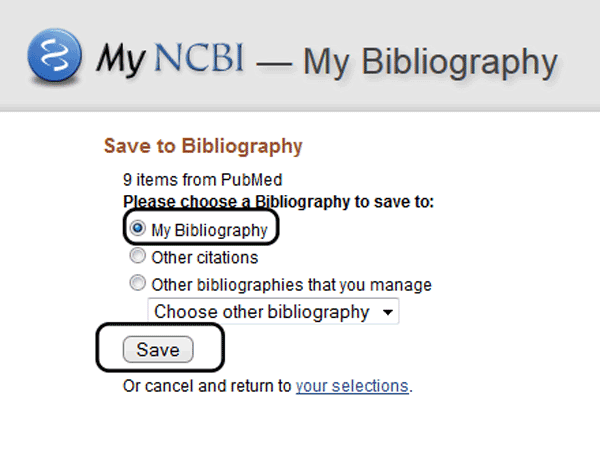 Any citation added using any of these options from the drop-down list will be added directly to the myNCBI bibliography. 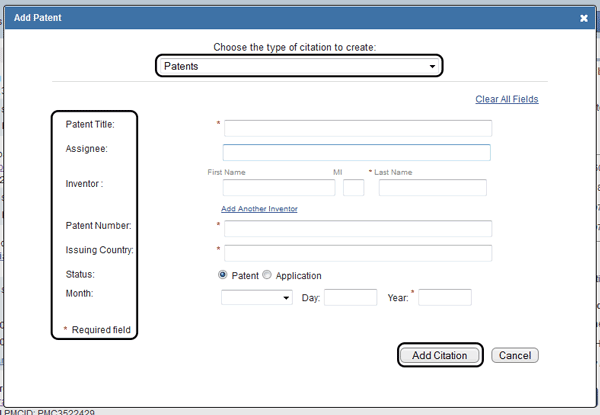 The citations with Compliance statuses of Red or Question Mark are the most important to attend to. 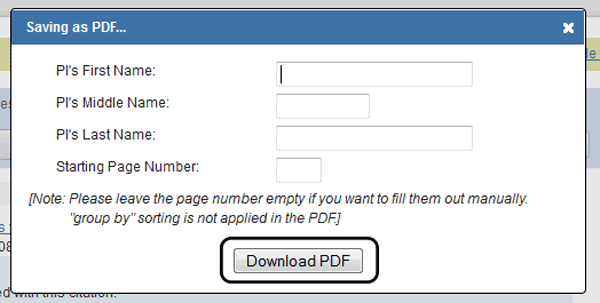 Those marked Yellow need to be monitored to ensure that they become Green and hence fully compliant. 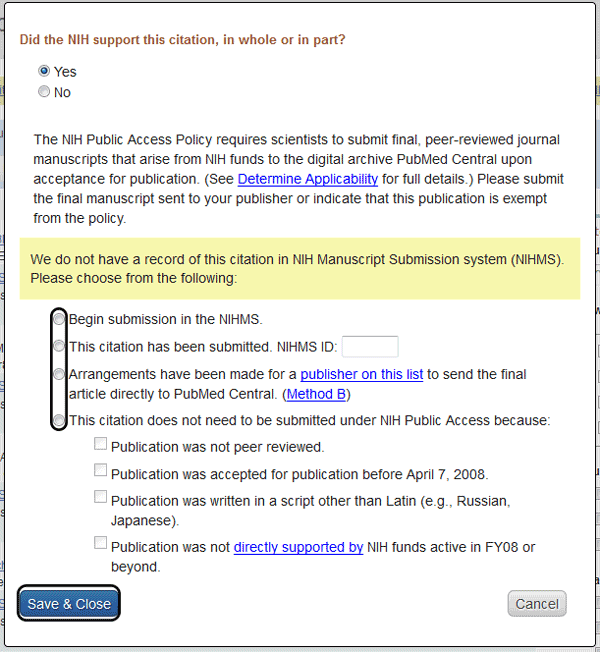 To edit the Public Access Compliance status click the Edit Status link and select Yes if the NIH supported this citation, in whole or in part. 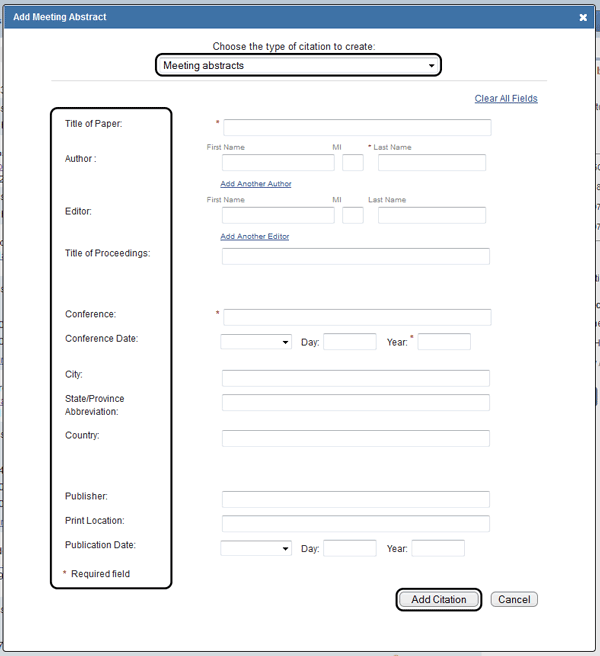 This will expand out the window to give you more options (discussed next). 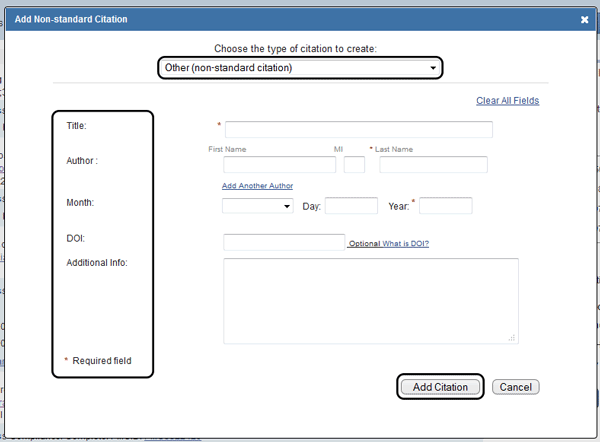 Select No if the NIH did not support this citation, in whole or in part, and then Save and Close. 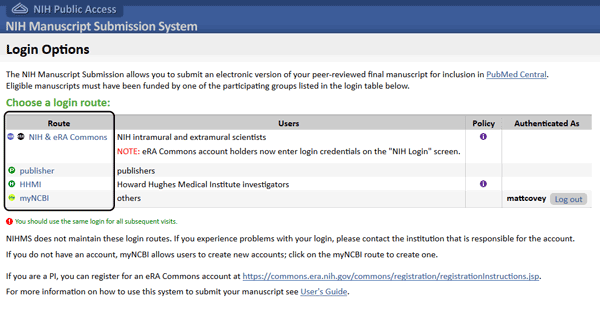 If you selected Yes the window will expand, giving you options regarding how to submit the manuscript to the NIH Manuscript Service (NIHMS) to enable the manuscript to finally be deposited into PubMed Central (PMC). 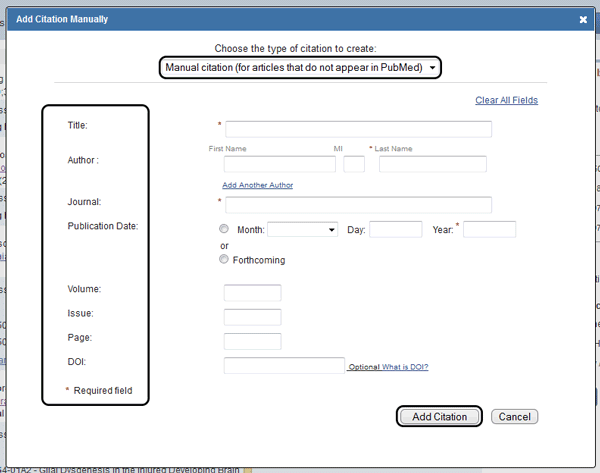 If you know a fellow author has already submitted the manuscript you can add the NIHMS number, if you have arranged with the Publisher to deposit the manuscript to PMC you can select that option, or if the citation does not have to comply with the Public Access policy you can select that option. 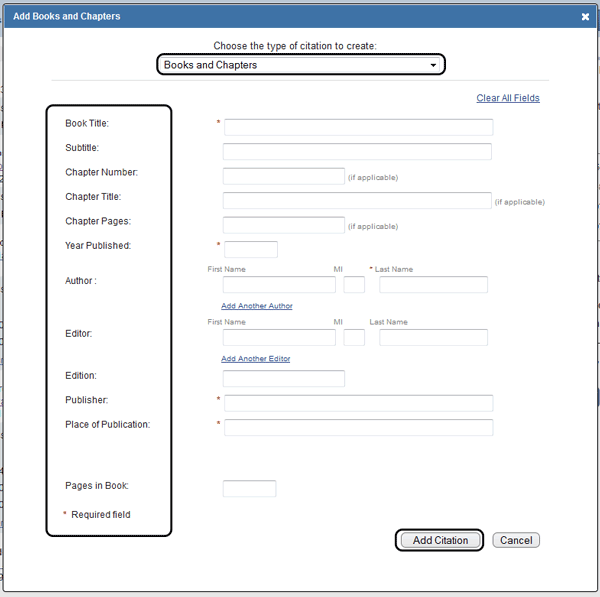 If however you know the manuscript needs to submitted by the author select Begin Submission in the NIHMS. 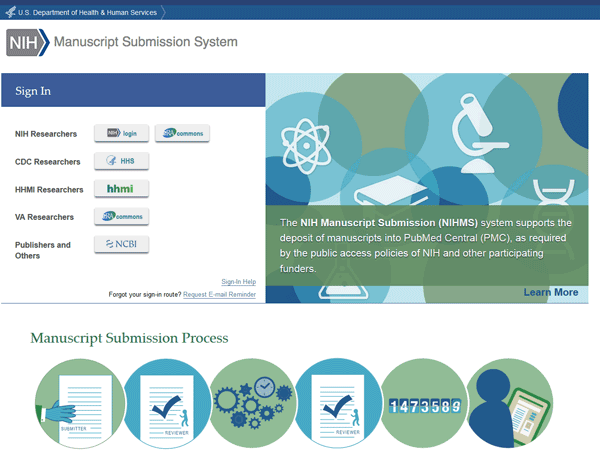 This will bring you to the NIHMS main page where you can start the Manuscript submission. 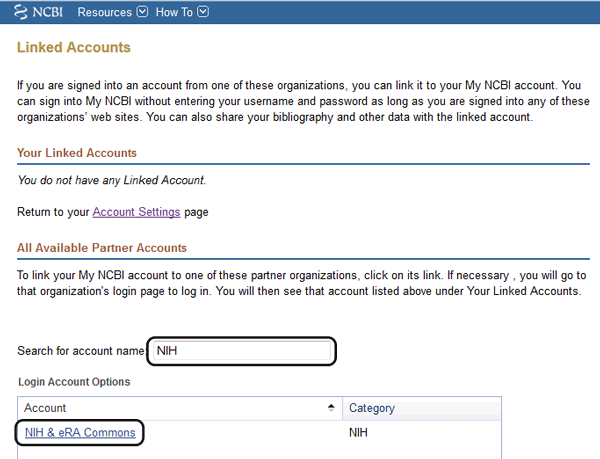 See the Further Resources page for links to user guides, help desks, and other sources of help with My NCBI My Bibliography.